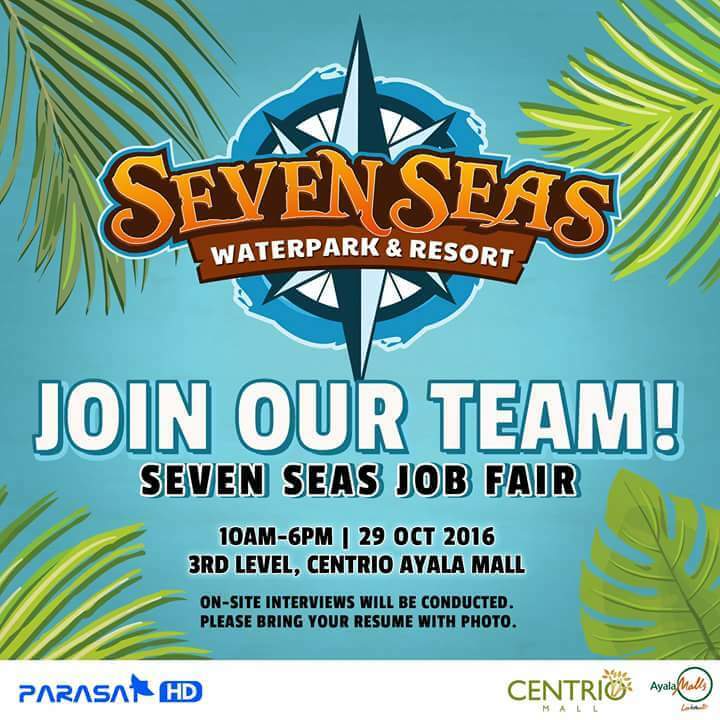 Seven Seas Waterpark & Resort will be needing a lot of personnel for their upcoming opening soon. Hence, they are holding a job fair specially for Seven Seas Waterpark & Resort on October 29, 2016, 10AM to 6PM at 3rd Level of Centrio Ayala Mall. There will be an on-site interviews to be conducted to qualified applicants so please bring your respective Resume with photo.